Why stop smoking this Stoptober? Did you know that within just 20 mins of quitting smoking your heart and body begins to recover! You’ve already made the decision to quit, recognizing this will benefit your health is a great first step – now, you just need to stay motivated. Here are some overlooked reasons to help you become a non-smoker! Your food will taste better! When you stop smoking, your senses of smell and taste get a boost. You may notice that food tastes and smells different as your mouth and nose recover from being dulled by the hundreds of toxic chemicals found in cigarettes. You’ll get younger looking skin! 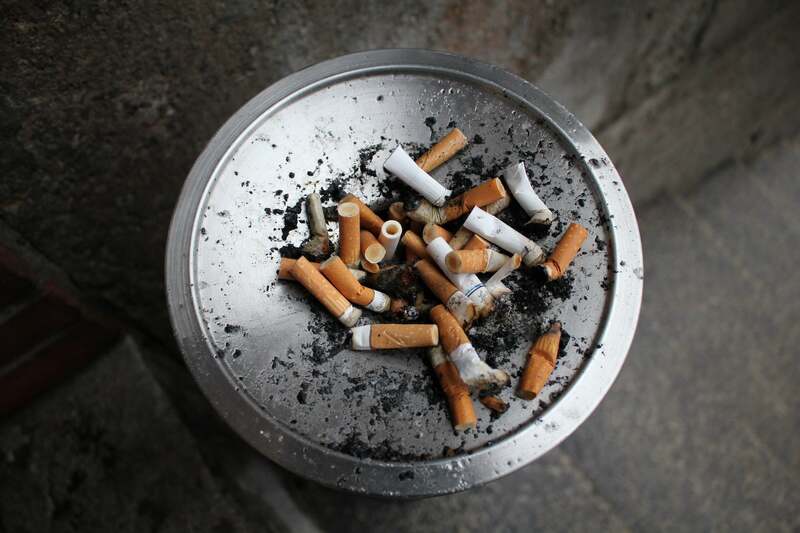 Stopping smoking has been found to slow facial ageing and delay the appearance of wrinkles. The skin of a non-smoker gets more nutrients, including oxygen, and stopping smoking can reverse the sallow, lined complexion smokers often have. You’ll have more energy! Within 2 to 12 weeks of stopping smoking, your blood circulation improves. This makes all physical activity, including walking and running, much easier. You’ll feel less stress! Scientific studies show people’s stress levels are lower after they stop smoking. If you find that you’re prone to stress, replacing smoking with a healthier, better way of dealing with stress can give you some real benefits. Whiter brighter teeth, sweeter smelling breath & lower risk of dental disease. Giving up tobacco stops teeth becoming stained, and you’ll have fresher breath. Ex-smokers are also less likely than smokers to get gum disease and prematurely lose their teeth. You’ll protect your loved ones! Breathing in secondhand smoke increases the risk of lung cancer, heart disease and stroke. In children, it doubles the risk of getting chest illnesses, including pneumonia, ear infections, wheezing and asthma. They also have 3 times the risk of getting lung cancer in later life compared with children who live with non-smokers. Stopping smoking improves fertility Non-smokers find it easier to get pregnant. Quitting smoking improves the lining of the womb and can make men’s sperm more potent. Most importantly, it improves the chances of giving birth to a healthy baby. Smoking poses significant risks to your teeth. Book a comprehensive dental exam to asses the current health of your teeth and gums and have an oral cancer screen. NHS quit plan – They’ve created a FREE personalized quit plan that’ll support you to becoming a non-smoker. Create a plan that includes exercise – it’ll help your heart to recover faster. Blog/journal – sometimes writing it down just helps, it helps to vent the stress, the frustration and will give you a release from those negative feelings. Blogging or vlogging can also help as there are so many people in the same boat additionally, it can help to have empathetic support around you. Get a new hobby! – Idle thumbs and all that! Get busy, do something you’ve dreamt of doing for ages. Learn a new language, teach yourself a new skill or even just redecorate that spare room you’ve been holding off starting. Keep your mind busy. Don’t be hard on yourself when you’re finding it hard – It’s okay to feel like giving up, it’s just important that you recognize its withdrawal from addiction talking. Reward yourself and Set weekly targets and rewards for this Stoptober! 1 week as a non-smoker = Take yourself for a nice meal out. 2 weeks as a non-smoker = Buy that dress you’ve been hankering after. 3 weeks as a non-smoker = A trip to your favourite place. 4 weeks as a non-smoker = Treat yourself to a course of tooth whitening!